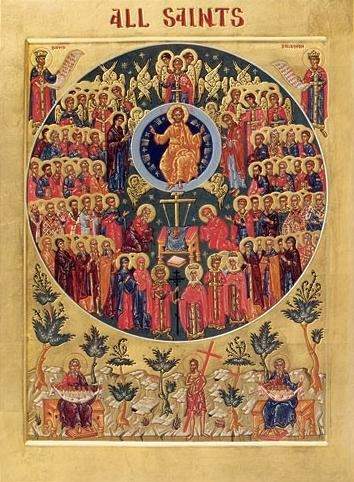 A Christian ought to daily nourish his spirit with theology or the good example of the saints. 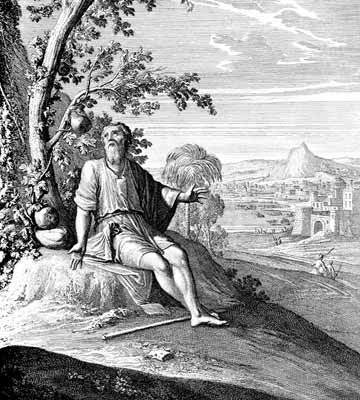 The Bible accomplishes both admirably; yet, it can sometimes strike one as too abstract or its familiarity blocks us from receiving new insights. This is where spiritual books are an enormous help. Below, I have included three recommendations and write a little about what makes them unique. Hopefully, one or more of these will make your reading list in the near future. This is probably the most prosaic version of the world’s end I have ever encountered. Written prior to WWI, Benson actually predicted that war and posits that the world will end in the early 21st century. Readers of the Apocalypse know that there shall be widespread irreligion at the end of the world: the religious shall be few and far between, and God’s punishments will cause the impenitent to curse God rather than amend their lives. What is the primary cause for the world ending around the beginning of the 21st century? The rise of communism and the culture of death. 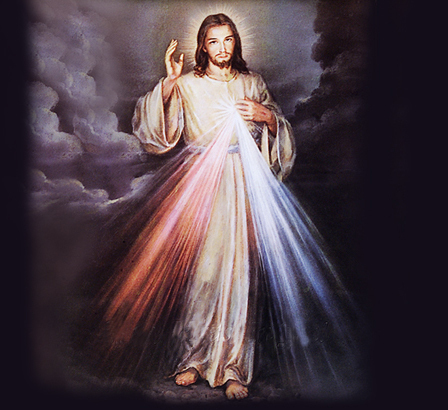 Happy Low Sunday or Divine Mercy Sunday! The anime Erased has got me thinking about the topic of salvation, as you know from my last article on the show. 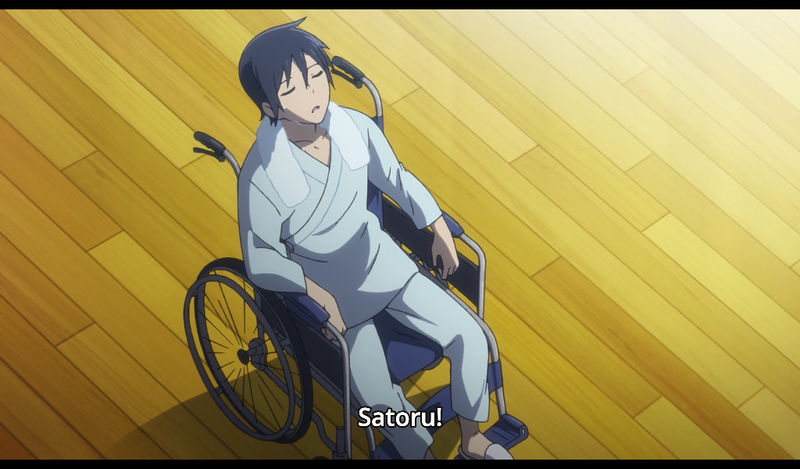 In the finale, Yashiro was given a final chance of salvation by Satoru on the hospital roof: the statute of limitations had expired on Yashiro’s attempted murders. 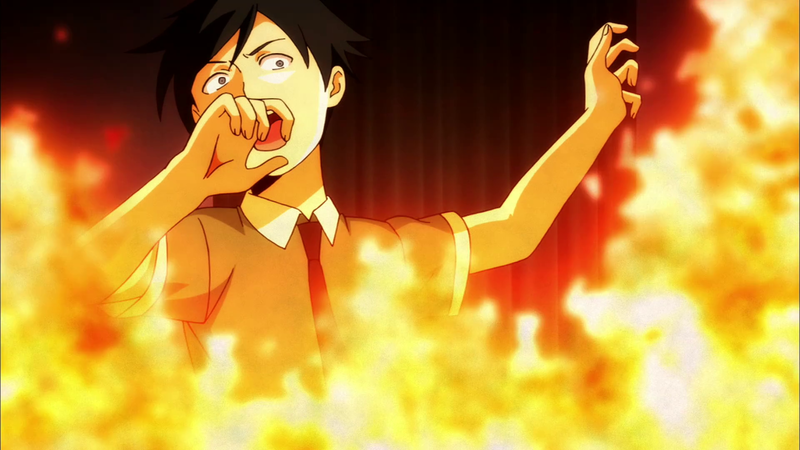 He could have continued his ordinary and law-abiding life because Satoru had prevented his evil deeds. Yet, Yashiro could not give up his evil obsession and was caught in the very trap he set: “They have prepared a net for my steps; my soul is bowed down; they dug a pit for me; they themselves have fallen into the midst of it” (Psalms 57:6). Like the reprobate soul I described in the past article, Yashiro pursued his own destruction despite all the help Satoru gave him. (After all, if Socrates’ dictum that the one doing harm is harmed more than the one harmed is true, Yashiro himself received more benefit from Satoru’s acts than the children Satoru saved!) Yashiro refused to be deterred from sin and must now repent of it. For this post, my dear readers, I’ll let you into the workings of my scrupulous mind. You see, for a long time now, I worried whether manga like Akame ga Kiru and Silencer actually carry a benefit to the reader. In general, a fascination with blood and violence for their own sakes obviously manifests a disorder of the soul. At the opposite extreme, squeamishness at the sight of blood and the refusal to countenance the existence of violence must also count as defects. So, do Akame ga Kiru and Silencer fall in the mean between these two extremes? And if they are in the mean, what is their particular virtue? The plenary indulgence is granted (under the usual conditions of a sacramental confession, Eucharistic communion and a prayer for the intentions of the Supreme Pontiff) to the faithful who, on Divine Mercy Sunday, in a spirit that is completely detached from the affection for a sin, even a venial sin, recite the Our Father and the Creed, and also adding a devout prayer (e.g. Merciful Jesus, I trust in you!). So, go to confession this Saturday or that Sunday if your Church offers it then, receive communion, have a strong resolution to turn from sin, pray the Our Father, the Apostles’ Creed, and “Jesus, I trust in you.” Should you die immediately after that, you’ll go straight to heaven without a moment of Purgatory. How many of my dear readers balked at this bold assertion? A villain becomes a saint in the space of one or two days? And quite painlessly? No, they should have to suffer more! Forgiveness should be more difficult! But, we are forgetting the Parable of the Workers in the Vineyard, where those who worked one hour are given the same reward as those who bore the day and the heat. We forget one more thing: mercy is unearned. At least, mercy was not earned by us. It was earned by Jesus Christ for all that would receive His mercy. Either through the instrument of His Church or without the instrumentality of His Church, Our Lord can apply mercy to whomever He wishes. Our very willingness to receive mercy, our tenderness of heart, is something Jesus Christ earned for us. Therefore, we have no right to be like the Prophet Jonah and sulk because Our Lord shows mercy in a manner which doesn’t meet with our human values. 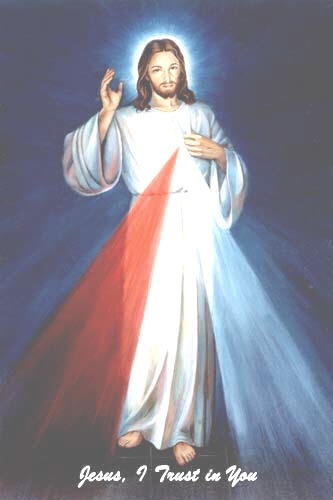 And so, let us allow the Lord to shine down as much mercy as He wishes upon us two days from now on Divine Mercy Sunday. I have begun reading Mists of Avalon by Marion Zimmer Bradley and have run into a familiar pagan conception. Viviane, the Lady of the Lake, says that no god could be great enough to create or run the entire world. To reference anime, Holo of Spice and Wolf claimed the same thing. The idea of an Infinite Being baffles the pagan mind. I will say that even though we Christians believe in such a Being, we understand terribly little about Him. We understand enough to be saved, but not even an eternity is enough to fathom all of God’s thoughts. This prompted one Church Father to say that anyone who knew the least thing about God was a great theologian. Merlin, Igraine, and Viviane claim that Christians are foolish in denying the existence of other gods. 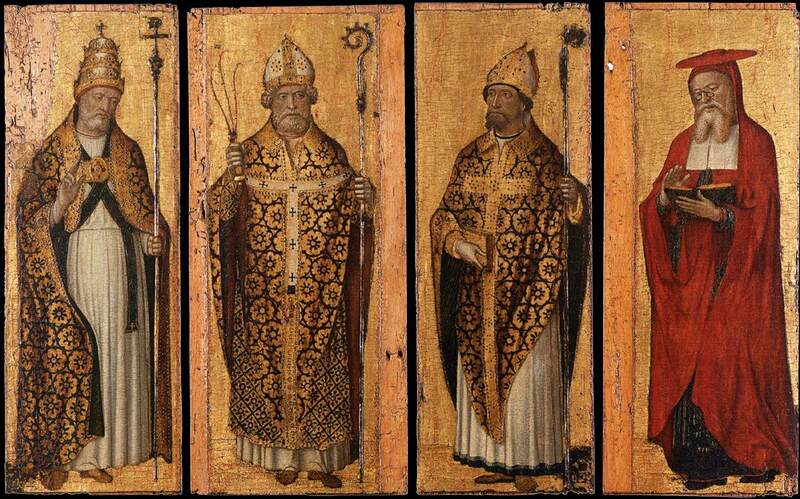 Indeed, in St. Justin Martyr’s opinion, these gods are really demons; in St. Augustine’s, they are nought. But, these pagans remind me of the Ancient Israelites, who believed that other gods existed, but they were nothing compared to the God of Israel. 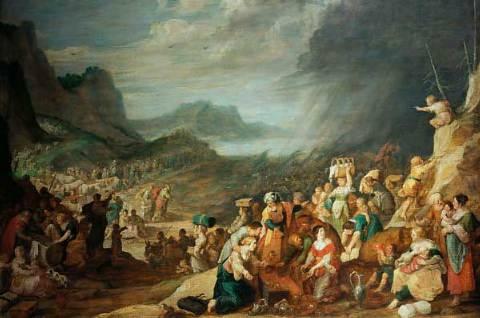 It is not until later in the Psalms that we see the assertion that no god exists besides God. This suggests an evolution in thought: God is not limited, but ever-present and all powerful. And so, why not wipe out the pagan gods who are either demons or nothing at all? Viviane makes the further accusation that Christians only want to spread their wisdom and to suppress all other kinds. If this were the case, why has so much pagan mythology and literature survived? Who do you think preserved it? Monasteries and Christian schools! Christians have always recognized wisdom where they saw it. God ever worked for the salvation of all men, so one should not be surprised at finding wisdom in other cultures! Christianity does not wish to wipe out wisdom, but only the worship of pagan gods, which must surely be accounted utter foolishness since they do not exist. 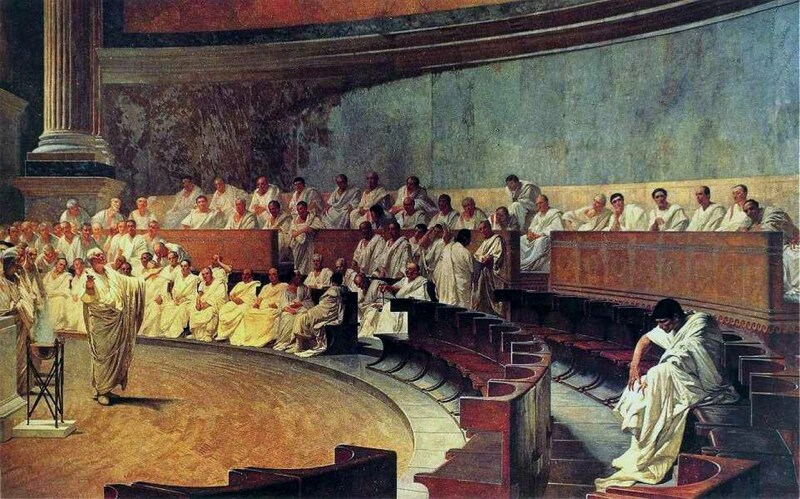 At one time, it might have been virtuous for pagans to worship gods, especially if they accounted them good, just, and holy–as Cicero and Socrates did. But, Christ has come to remove the veil of ignorance, teaching about salvation through one Infinite God. But, what a widening of the mind early pagan converts must have had to change their idea of God from a creature-like form to a formless and limitless Creator! As I mentioned in the introduction, thoughts about why people fall away from the faith led me to write this series of articles. I arrived at the answer that all people are justified and preserved in faith through the action of God’s grace. 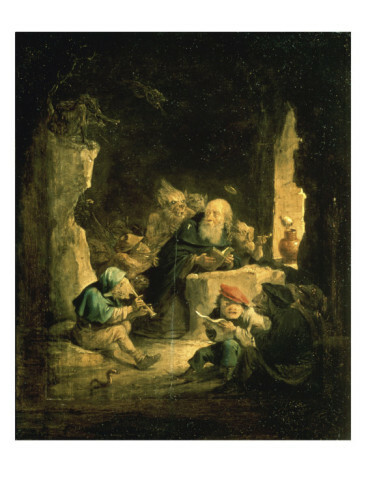 So, anyone’s perseverance in faith may be attributed to God’s grace and providence acting on the human intellect and will with such precision as to prevent that person from either losing faith or otherwise dying in a state of mortal sin. So, all the elect owe their salvation to God’s mercy. But, the thought still comes to me that there must be something we can do to contribute to God’s efforts: “…work out your salvation with fear and trembling; for it is God who is at work in you, both to will and to work for His good pleasure” (Phillipians 2:12-13). He did give us free will after all, and it is certain that no one is saved against one’s will. However, we do require His grace to will anything good. Each sin is a refusal to act according to the grace given to us. But if all good thoughts, good words, and good deeds both originate in God and are carried to completion through His grace, it seems that a human being can do nothing to advance his salvation. Perhaps this seems too simplistic to some of you. Perhaps many of your prayers have gone unanswered. But remember the four conditions above: you must be praying for yourself, things necessary for salvation, piously, and with perseverance. Sometimes, God does not answer prayers because they do not further our salvation, we demand rather than beg, we want things done in our own way, or we do not ask with perseverance. The latter three are perhaps the most common reasons why certain former Christians, even though they were praying for faith, were unable to retain their faith. So, I advise those of you who find themselves of this category to resume praying for faith so that God may grant it to you. “But,” you may say, “how can I even pray without faith?” Remember the story of the father whose son Jesus cured of an unclean spirit in Mark chapter 9? The father said: ‘”But if you can do anything, have compassion on us and help us.” And Jesus said to him, “‘If you can’! All things are possible for one who believes.” Immediately the father of the child cried out and said, “I believe; help my unbelief!”’ (Mark 9:22-24) Jesus was able to heal his son with a word. I wish to contrast this with the passage in Mark where Jesus is rejected at Nazareth. 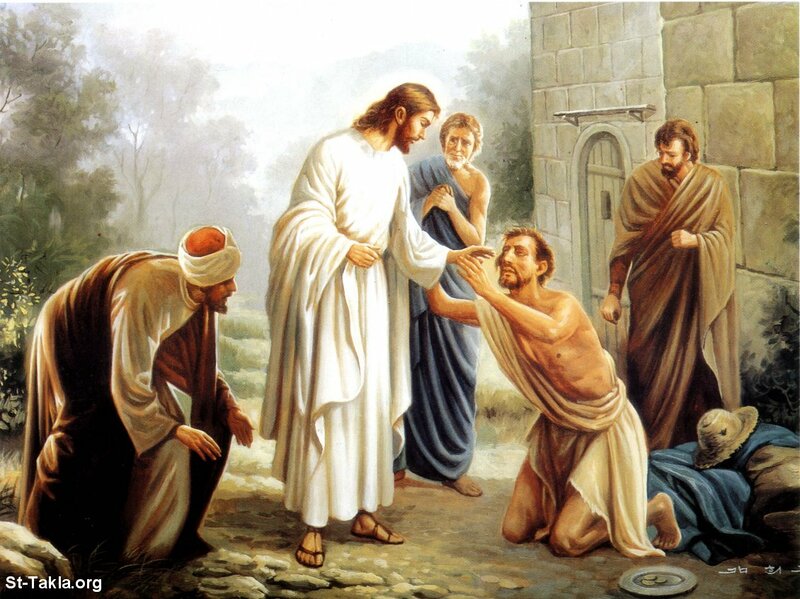 The end result: “And he could do no mighty work there, except that he laid his hands on a few sick people and healed them. And he marveled because of their unbelief” (Mark 6:5-6). So, it does not seem that unbelief, as merely a state of not being sure, can prevent the action of God’s grace. Rather, only the willful refusal to believe hinders the action of God’s grace. That’s why Jesus was able to help the father, even though he was in a state of doubt, while he was unable to help his neighbors in Nazareth. Even someone with great doubts may pray in this manner, and I doubt that anyone who seriously recited it everyday would fail to attain salvation. But, if it is impossible for one either to pray this or to pray this seriously, one can always ask a friend or relative to pray for them. 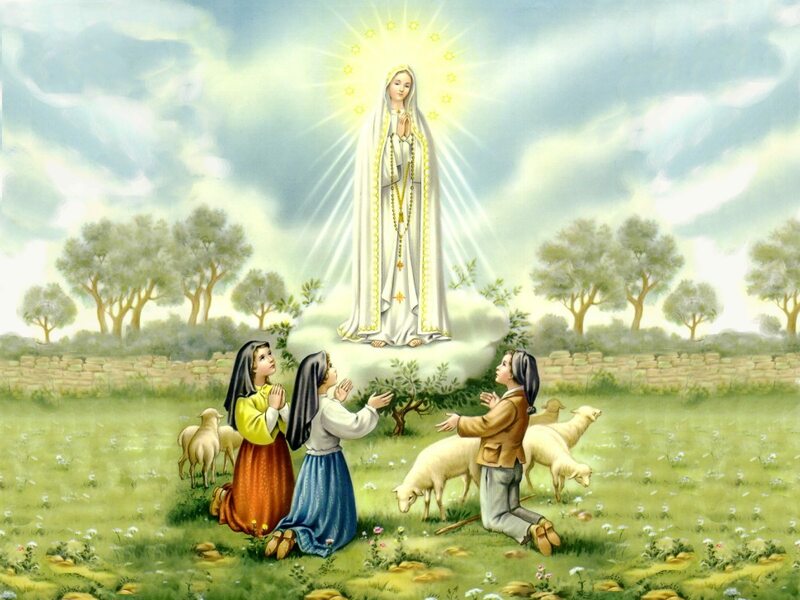 Our Lady of Fatima says that too many souls perish for lacking someone to pray for them, implying that even this may be sufficient to effect a person’s salvation. Yet, someone might still be scoffing at the idea of prayer’s necessity: “Surely, reason alone ought to be all that’s needful to convince someone of the truth or falsity of religion. Whichever side has the stronger argument will naturally prevail.” Of course, such a person believes that religious people are ignorant, stubborn, or arrogant. The scientific worldview and modern philosophy has done enough to discredit belief in a Supreme Being. But, is that the real reason behind certain people having religion and others being without it? But then, one would expect that people with the same background, intelligence, education, and experience would have the same opinion on the matter. However, the truth stands that: one intelligent man believes, a comparably intelligent man does not; one rich man believes, another does not; one poor man believes, another does not; one person with X personality type believes, another X type does not; one scientist believes, another does not; one fisherman believes, another does not; one man of integrity believes, another virtuous man does not; one person raised in a religious family cleaves to the faith, another falls away; one person raised as an atheist converts, while another does not; one person raised in a lukewarm household becomes fervent, another remains lukewarm; etc. When one considers that none of these things by itself induces perseverance in faith or perseverance in disbelief, it becomes apparent that a person’s talents, background, good fortune, experience are almost immaterial. Even if we found two characters extraordinarily similar in most respects, they might still diverge on the matter of faith. God’s mercy and grace alone allows the Faithful to remain true and non-believers to convert. The infallible means open to all persons of obtaining grace is prayer. Now to deal shortly with how prayer prevents us from falling from grace or at least of regaining the grace of justification should we fall. Let me here note that no influence can force the will to decide one way or another; however strongly a habit of vice or virtue inclines the intellect toward a certain set of actions. Yet, once a habit of vice has been established, it is only God’s grace which can deliver anyone. After the danger of dying while in a state of grave sin, the dangers of constantly giving in to such sins are lukewarmness, i.e. losing the desire to amend, or losing faith altogether, especially if one has struggled for a long time to overcome a particular sin. They reason that, if God existed, God could surely prevent them from falling. So, continued falling into grave sins and getting worse for them can only be attributed to God’s absence. And so, their own sinfulness leads to them losing faith. Truly, it is only by resisting the passions that we are set at peace and confirmed in our election. One of the least lascivious images of St. Anthony the Great’s temptations. One must see this conflict between virtue and vice as a battle with our foes, the demons, who constantly try to lure us away from Jesus Christ by love of the world or the flesh. Often when we give in to base desires, instead of thinking of this as the battle it is, we think about the “benefits” or “advantages” which an evil act will bring us. By looking at the immediate “gain” which the sin will bring, we put off all thoughts of the Just Judge from our minds. For, who would sin thinking that they would surely go to hell in the next instant? Even if this thought comes to our minds, we then say “Surely we’ll have time to repent” or “But I just can’t resist” or “I don’t like the consequences of not sinning” or “This person has it coming to them.” And then, we fall. The good news I have for us is that only those who cease repenting, who cease continuing to fight, are lost. For, Christ is infinitely merciful. 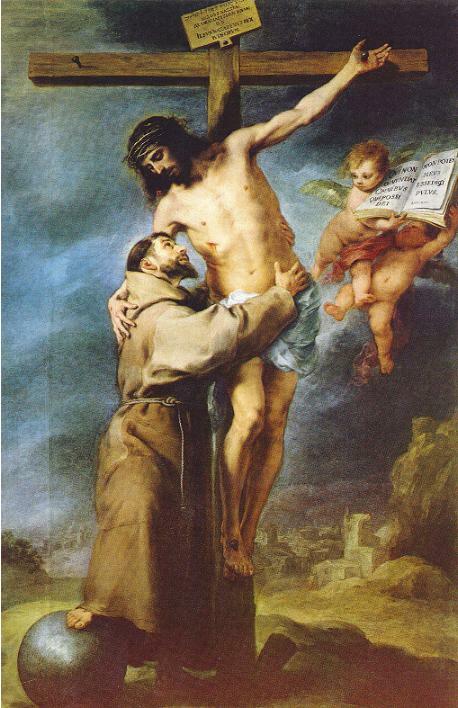 These vices may only be conquered through mortification, avoiding the occasions of sin, the sacraments, and prayer; full and frequent confession is particularly salutary since absolution makes us desirous to preserve our souls’ purity and Jesus adds special graces to the absolution for us to persevere in virtue. But, how difficult is it to deny oneself after constantly giving in to oneself? To avoid occasions of sin when we’ve been seeking them? To pay not heed to all the phantoms and fears the devil throws at one in order to prevent one from confessing one’s sins? 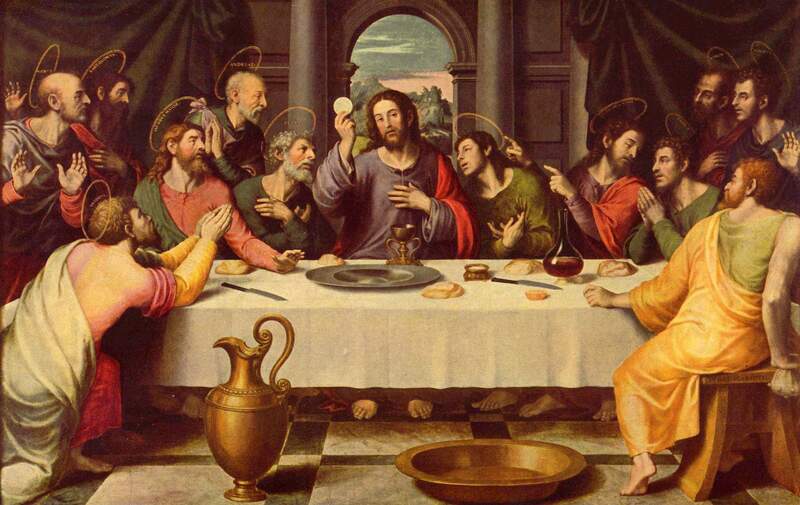 And if we do not confess, how shall we eat the Bread of Life, the Life of Souls? All the grace necessary for us to overcome this habit of vice is available in prayer. Prayer produces true repentance in the soul and leads one to the confessional and then to the Holy Eucharist. God, now dwelling in the person’s soul, enables it to hate sin and persevere in good works. The battle continues after this point, and our foes may strike at any time. Virtue and Prayer are our chief methods of fending them off, but the former is not fully formed in the newly repentant, and even those who have long persevered in virtue may find themselves hard pressed. Especially consider times when we seem to be in the throes of a temptation, and our minds are deluged with the “advantages” and “benefits” of sinning. If we dally only with these evil thoughts, our will shall eventually give way. 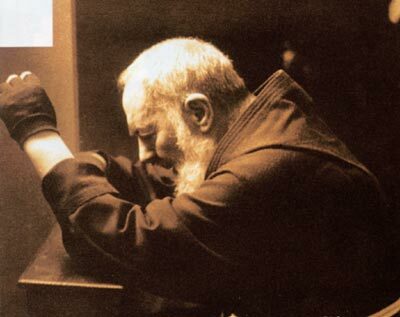 To escape, we must turn to God in prayer, begging Him to deliver us from evil, thinking of the heavy punishment awaiting those who commit these crimes, and considering that every sin of ours increased the suffering of Our Lord during His Passion. Often, people try turning to an earthly remedy when combating these passions, but God alone “is my rock and my fortress and my deliverer, my God, my rock, in whom I take refuge, my shield, and the horn of my salvation, my stronghold” (Psalm 18:2). Any remedy outside of or without prayer is certain to fail. 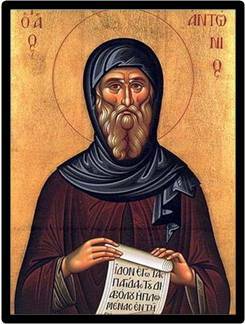 St. Anthony the Great, whenever he had to suffer many temptations, would often pray the Psalter for days without sleep until his enemies broke down in tears and admitted defeat. But, grace alone gives us this resolves and prayer is often the only means we have available to beseech God to pour sufficient grace into our hearts. But more will be said on how to pray in later articles. Pray without ceasing!